For a relaxing full day trip to the beautiful city in Punjab, our specialized car hire service comes with a guarantee for enjoyment, convenience, and safety. The service has been designed to suit a number of local tour purposes including sightseeing, attending meetings, shopping, seminars, visiting hospitals, and a lot more. No time for a full day trip? Leave it all unto us. We will take care of your half day trip requirements and make sure things don’t get hectic. 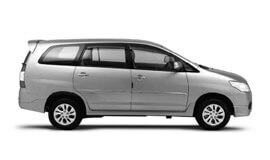 Some of the most popular services under this category include Airport Transfer in Mohali, Car rental service for Marriage, party and event, Corporate Cab Rental in Mohali, Railway Transfer, visiting hospitals and a lot more. For outstation travel, we have exclusively designed packages. The service provided by our team guarantees exceptionally enjoyable trip experience with friends, best of excursions, enjoyable weekend getaways, and family leisure trip outside the city limits. We offer excellent quality to and fro taxi facility for your Mohali visit requirements. It is available for various destinations from Mohali. Our one way drop hire service will help you enjoy premium quality taxi service to your desired destinations starting from Mohali. For multiple city visits in a given period of time, rely on our multi city travel hire services. We make sure you have a unique travel experience throughout. We customize packages as per your specific car rental and tour needs and budget taking into account your unique needs and budget restrictions. We guarantee the best car rental services in Mohali at highly affordable prices. Mohali has a sub-tropical continental monsoon climate. It experiences hot summers, slightly cold winters and variable rainfall. The city also receives occasional winter rains from the west. Winter is known to be the best time to visit the town. The season offers a comfortable environment for tourists to roam around and enjoy the tourist attractions of the place. The days are warm and pleasant. As per official census report for the year 2011, Mohali district has a population of 986,147 residents. Mohali is a well planned satellite town of Chandigarh. It has been successful in carving a niche for itself on the Industrial map of India and gaining District Status. There are over 35 units with an investment of approximately 1000 crores providing employment to more than 18000 workers. Large Scale and over 1300 units in Mohali employing 25000 workers contribute to the revenue of towm. Mohali is also often referred to as Silicon Valley owing to the concentration of units engaged in the manufacturing of electronic goods. Mohali is a very beautiful place providing immense opportunities for tourism. It is home to a large number of tourist attractions including Sukhna Lake, Rock Garden, Amb Sahib Gurdwara, Nada Sahib Gurdwara, Punjab Cricket Association Stadium, Sector 17 shopping area, Main Market, Phase - 3, Mohali, Bhakra Nangal Dam, Main Market, Phase - 7, Mohali, Anandpur Sahib, Anandpur Shaib, City Park, Sector 68, Mohali, Gurudwara Singh Shaheedan, and Rose Gurden.